Little known smartphone company, iTel mobile released the iTel it1556 few months back as its latest offering in the smartphone market. The high point of the device is the powerful 5,000mAh battery it packs which can also charge other smartphones. The iTel it1556 comes with a 5.5-inch IPS display with a resolution of 854 x 480 pixels. The entire outer body covering is made of plastic material, having a dimension of 156 x 79.3 x 9.9 mm. The it1556 is also powered by a 1.2GHz Quad-core MediaTek processor which is backed by a miserly 512MB RAM and 8GB of built-in storage which is expandable upwards of 32GB maximum. On the camera lane, iTel it1556 packs a 5-megapixel rear facing camera with autofocus and LED flash and on the front, there is a 2-megapixel selfie sensor. 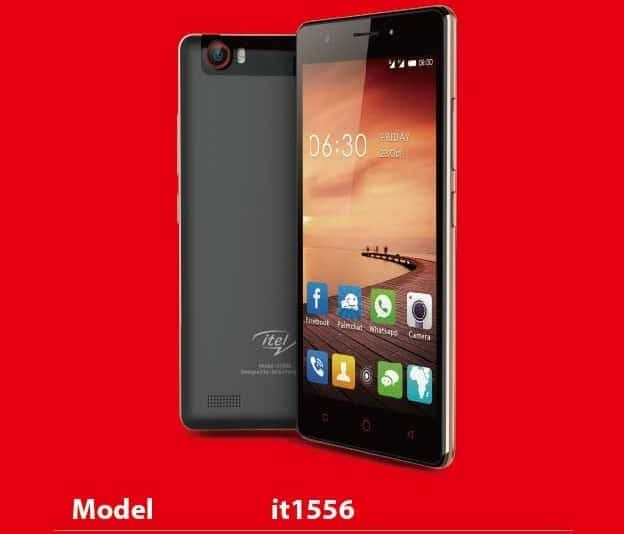 The iTel it1556 boots Android 5.1 Lollipop out-of-the-box and comes with provision for dual SIM. Connectivity options include, Wi-Fi, Bluetooth v2.4. The smartphone also features a 5,ooomAh battery, as stated. The massive battery on the device can be used as a power bank to charge other smartphones and devices via USB port. The iTel it1556 with 5,000mAh battery as its only selling point carries a modest price tag of N20,000 in Nigeria, which is about 240 Cedis in Ghana and about Ksh 6137 in Kenya.